Double Gauze has two layer of gauze. One side is check and back side is plain. We washed them in our factory, so it has smooth and warm texture. That can be used for shirt, jacket. 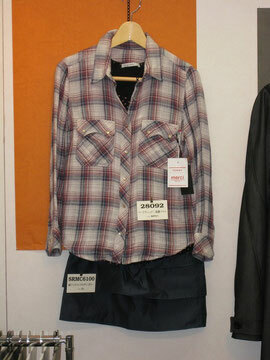 Left - sample garment by 28092, our double gazue.